As I scanned through my list of my "15 before 15" (which is the list of 15 things I wanted to achieve before 2015), some of them is about spending more (quality) time with J although not explicitly expressed. I constantly struggle to find that balance and it leads to what I call a world wide phenomena of the "working mothers' guilt". There were a whole suite of things I plan out to do with J either after we get home each day or during the weekend. But, the infertility journey plus the pressures at work makes me very tired everyday, weekends included. I harboured thoughts on many occasions to quit my job which pays the bills and keeps me sane sometimes. Unfortunately, it's also a major source of the stress I feel each day. I have half written business plans sitting somewhere in the many folders of my Macbook waiting to be completed and implemented. I have home-improvement projects dying to take shape but is looking like it probably never will. I want to bake for the boy, yet i also want to sleep and never get up. With so many different to-do lists and of course the endless tasks in them, it is no wonder I am often a frazzled mess. I recently went for an "up-close and personal" session with a successful banker who's a mother of 3 beautiful children where 2 of them are already in their teens, and who has on many occasions wanted to give up what she had in her career because of the "Mummy's Guilt". As I listened to her share about how she managed both work and family, I cannot help feel relieved that the struggles I am putting up with isn't an isolated case. There is a possibility of doing well , and it really boils down to our own attitude. 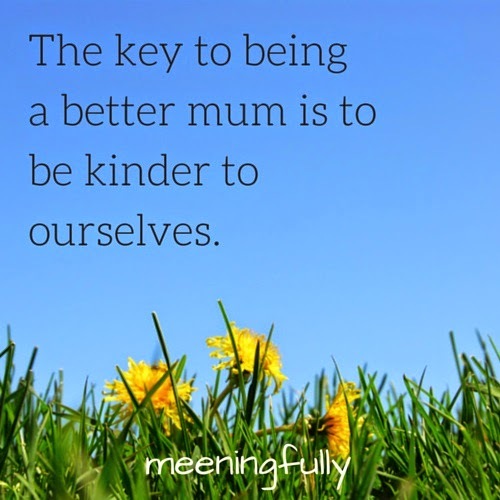 Listening to inspiring stories and reading other mummies' tales, the key to being a better mum is to be kinder to ourselves. Certainly, things aren't going to be smooth sailing, but for full time working mums, when things get tough, try to list down the various reasons for wanting to work when you had your kid. This listing exercise, for me, very quickly quashes the notion of wanting to leave the job. The next thing I would do is to rid my heart of guilt. This is hard, but I constantly remind myself that we cannot always have best of everything, so something somewhere will have to give. Yes, I agree with the saying that "women cannot have it all". It is sometimes cruel, but what makes me proud of myself is the fact that I balance it better than most men do. Well, at least better than my man lah! 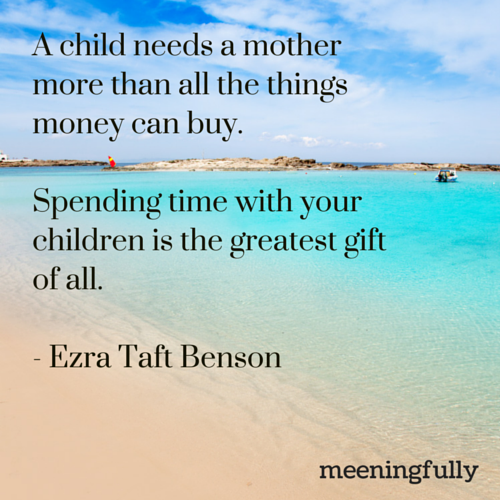 Having said that, when we do spend time with the kiddos, it has to be undisturbed, quality time. Technology has often made it hard to draw a clear line between work and family. How many of us have been guilty of pressing our faces at our mobile phones while trying to attend to our kids' endless questions. When it is time for the family. switch off that wretched mobile device. It didn't occur to me that it mattered so much to the kid until he took it out of my hand, and said to me "don't look at your phone Mummy! Come with me!". He needed me. Even if it is just to sit by him while he plays his toys. I don't wish to miss out on any of his important milestones. So, while I try to find a much needed balance, stress management is essential. Be good to ourselves Mummies! Take an hour or two off from work and family. Go for a movie alone, or go for that much needed facial or massage. Trust me, it helps to lift the spirits, and more importantly, almost always put what's bothering us into perspective. This also means, we go home happier and our loved ones can definitely feel it. 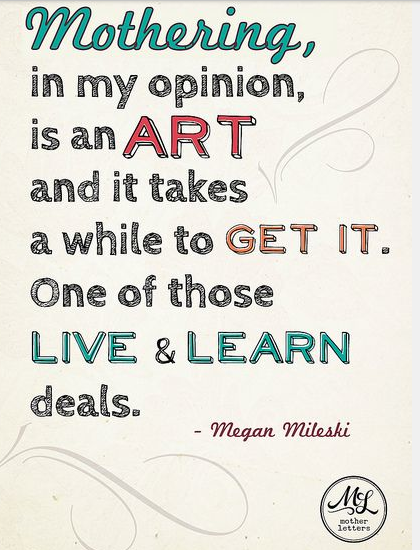 Like I always say, I am no expert, and is very much a work in progress. 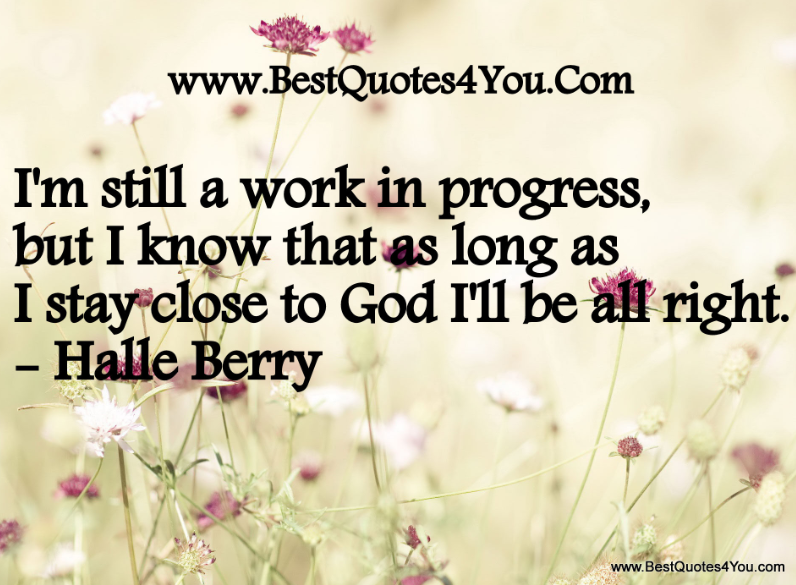 I will work towards it with much faith, so can you! Well, if things get a little hectic, we are usually more active on FB and Instagram!